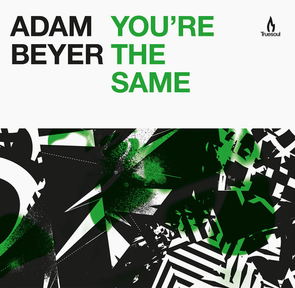 Head-honcho Adam Beyer delivers the next Truesoul release, the ‘You’re The Same’ EP, following a big year from the techno DJ/producer, which featured two singles on the Drumcode A-sides compilations, various releases on different labels, a seven-hour live broadcast from Awakenings festival, 10 shows in Ibiza for Carl Cox, Cocoon and Enter as well as a busy show circuit across the world. Coming up there are a multitude of Drumcode parties in New York, Portugal and a huge 5000 capacity Drumcode show in London co-hosted with Awakenings and London Warehouse Events. Adam has been showing you the extent of his versatility for years and this EP shows that Beyer can swing between genres and keep up his high standards within electronic music. All the tracks on this three-part EP are chunky, solid grooves, that are infused with dashes of techno, house and dub. Vocal snippets are used to create hooks as well as moody pads to create eerie atmospheres. EP track ‘Valium & LFO’s’ has already built up quite a following courtesy of its inclusion in Beyer’s Amnesia Terrace set for Cocoon that was later broadcast as part of his Drumcode Live radio show.